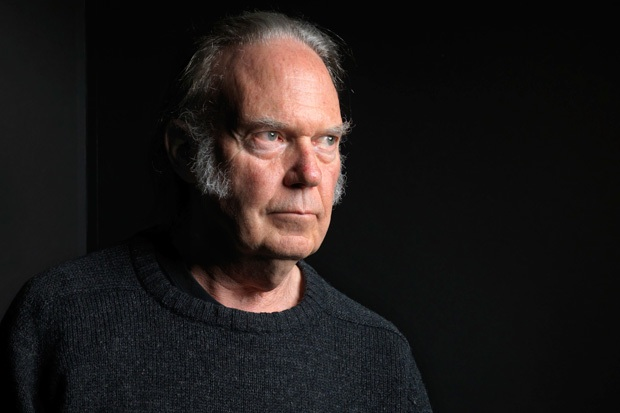 Neil Young, one of the greatest folk and rock songwriters of the last 45 years, has now discovered – late in his career – the pleasure of writing prose. “This is a great way to live,” he says about the process of getting reminiscences about his life down on paper. 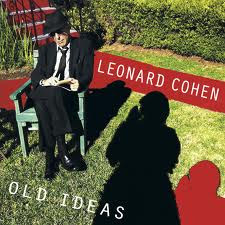 “I highly recommend it to any old rocker who is out of cash,” he adds, tongue firmly in cheek – “and doesn’t know what to do next.” It might sound cynical, I suppose, to the naïve reader unable to read between the lines; but the comment is designed precisely to undercut the kind of criticism that might come from those who misconstrue his motives. Books about rock bands and pop singers, of course, have been flooding the market for fifty-odd years. The majority of them have been hack-jobs – potted histories written by journalists and authors of questionable ability and integrity, who simply mine old newspaper and magazine articles, and offer a mélange of cliché, punditry, and purple prose. Then there are books about the stars by people who were close to them through marriage or family relationship. These are generally ghost-written – and built on extended taped interviews. I’ve read more than my fair share of these. Many are predictably humdrum efforts – but you read them anyway, looking to glean any new tidbit about your favourite artists: A Twist of Lennon (1980), for example, by John’s first wife Cynthia; or Wonderful Tonight: George Harrison, Eric Clapton, and Me (2008), by Patti Boyd. Then there are the few autobiographies that are in a class of their own, because their authors – whilst rock stars – really know how to write. Bob Dylan’s Chronicles: Volume One (2005), in that regard, is a standout. It’s a mesmerising read. Patti Smith has written brilliantly about her life and friendship with Robert Mapplethorpe in Just Kids (2010). And Pete Townshend has a memoir called Who I Am just released (October 9) that should be a great read – he’s shown himself in the past to be a talented writer of both fiction and non-fiction. Motives for writing a memoir are as varied as the individuals who undertake them. Dylan’s book began as a set of extensive liner notes. 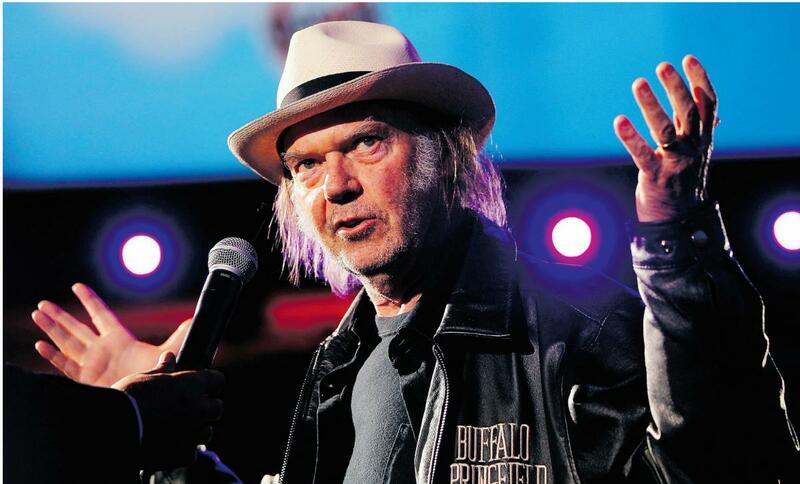 Neil Young began his because of a broken toe: “It was the catalyst to get me started,” he says. He couldn’t get about for a while, so he opened up his laptop and started to write. It was a good way to take it easy for a while: “Creative work and writing are relaxing to me,” he explains. Without a set structure or final goal in mind, he proceeds in a random, organic fashion – using a dictum about the writing process that he remembers from his father Scott Young, a successful journalist and author, who told him once: “Just write every day, and you’ll be surprised what comes out.” Which is exactly what he does. When he began writing songs back in his mid-60s, Winnipeg days (with The Squires), Neil adopted the inspired-by-the-muse approach: “I learned to be ready to write when an idea came into my head … I learned to drop everything else and pay attention to the song I was hearing.” He discovers now, however, that amassing sufficient material for a book-length piece of prose is a more demanding enterprise, requiring a more disciplined method. 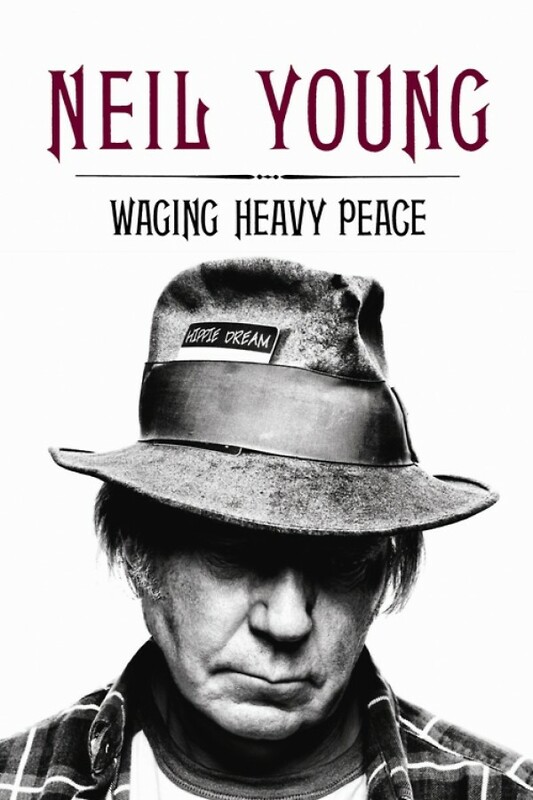 The basic structure for Waging Heavy Peace is to alternate between sections dealing with Neil’s current life – revealing quickly the main obsessions that drive his activities day-to-day – and reminiscences about the past. His “journeys through the past” deal primarily with family, former bands, and long-time friends and colleagues who have worked with him on many of his pet-projects. These journeys of the mind are not arranged chronologically; Young flits forwards and backwards, as the whim takes him, often returning over and over to the same people (his father Scott Young, for example, and his favourite producer and soul-mate David Briggs) and the same bands (The Squires in Fort William; The Mynah Birds in Toronto; and Buffalo Springfield, CSN&Y, and Crazy Horse in southern California). Neil Young has not had an easy life, despite the fame and fortune he has enjoyed as a 60s rock-icon. He and his family have gone through a series of serious medical problems. Two of Neil’s sons were born with cerebral palsy – Zeke, his oldest (mother was actress Carrie Snodgrass), and Ben (mother is Pegi Young). His daughter Amber (Pegi’s also the mother) has epilepsy. Neil, himself, has had a long series of health issues: he had a bout with polio at the age of six; suffered regular epileptic seizures in his early days in Los Angeles in the late-60s; lived with a back problem that required him to wear a brace – relieved eventually through surgery; and, more recently, almost died from the complications following surgery for a brain aneurysm – two days later he collapsed on a New York street and almost bled to death when a femoral artery ruptured. His mother always supported Neil’s growing interest in music and performing. But his father took a while to recognize his son’s unique abilities. Despite their rather aloof relationship, Neil loved his father and never held a grudge about his philandering ways, which led to the family-breakup. 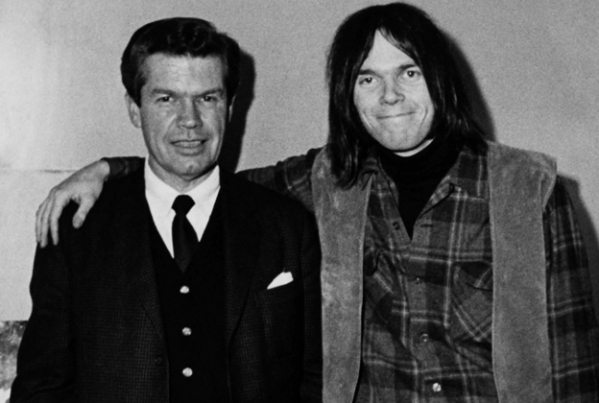 When Neil Young bought his Broken Arrow Ranch in La Honda, California in 1970, he also hired its previous caretaker, Louis Avila, to work for him. Young later wrote the song “Old Man” about Avila. Scott thought the song was written about him. Neil never disabused him of that notion: “… songs are for whoever receives them,” he explains. Neil and father Scott at the Riverboat in 1969. Scott later wrote about his relationship with Neil in his book Neil and Me (1984). 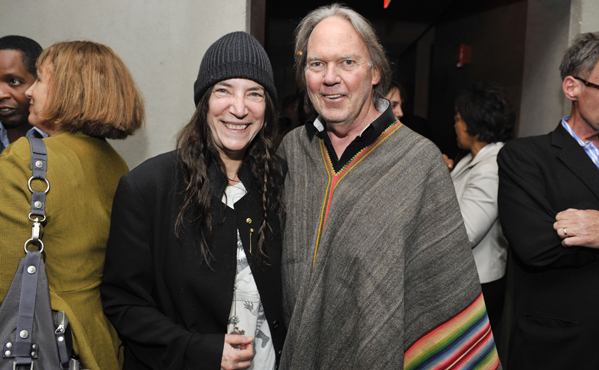 Neil Young, of course, is a wealthy man. He uses his money to pursue his many hobbies and obsessions. “I am a material guy”, he confesses. And when he finishes a major project - like an album, or a tour, or a film – he will indulge himself in a special purchase. Often it will be a car. “I am a collector,” he admits: “I collect everything – cars, trains, manuscripts, photographs, tape recordings, records, memories, and clothes.” He likes old cars, large cars – a ’53 Pontiac hearse, here; a ’49 blue Cadillac convertible, there. He built a warehouse on his ranch to hold all his cars. He calls it Feelgood’s Garage; and it has its own mechanic to fix and to service his prized automobiles. One of Young’s pet-projects, which he discusses over and over again in this book is the LincVolt. His plan is to take a ’59 Lincoln Continental and turn it into a highly fuel-efficient vehicle running on various forms of clean energy – natural gas, electricity, ethanol. He loves the old cars. With the ’59 Lincoln – 5,000 pounds in weight, 20-feet long – he aims to come up with an engine design and fuel source that will provide 100 miles to the gallon. Eco-friendly luxury! He might even win a prize! Neil playing 'Old Black' - a '52 Gibson Les Paul. Keep on rockin', man! Another enterprise that Neil Young has been involved with for many years is developing a mass-market, high-fidelity source of digital sound. His original name for the product was PureTone; but he discovered, long after the fact, that the name was already taken. The new brand-name is Pono. 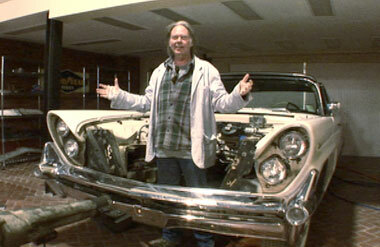 And once the system is up and running, he plans to install it some of his old cars. 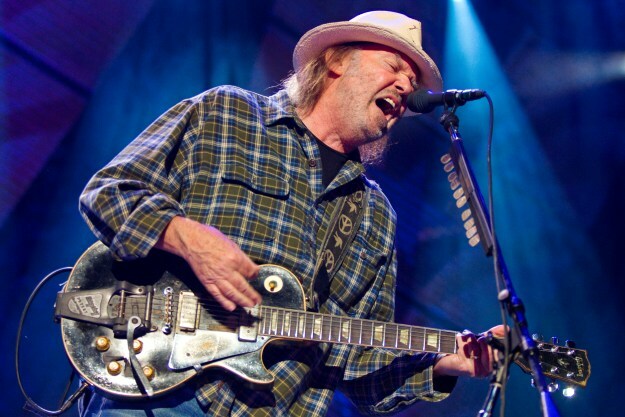 This insistence on traditional quality and high technical standards runs through everything that Neil Young does. He doesn’t use in-ear phones whilst performing, for example – “they are way too sterile and clinical for me; I have to hear the speakers, and the amps, and the hall sound.” And his last album, Americana, was recorded and mastered with analogue equipment onto high-quality tape, before being transferred at the last stage to a digital format. 'Old Black', his '52 Gibson Les Paul, never sounded so good. We learn about his life with mother Rassy in Winnipeg, after she separated from Neil’s father, Scott. There’s a lot about his early experiences touring with his first band, The Squires. And some background on his early attempt to break into the Toronto music scene as a solo performer and then with a band called The Mynah Birds. 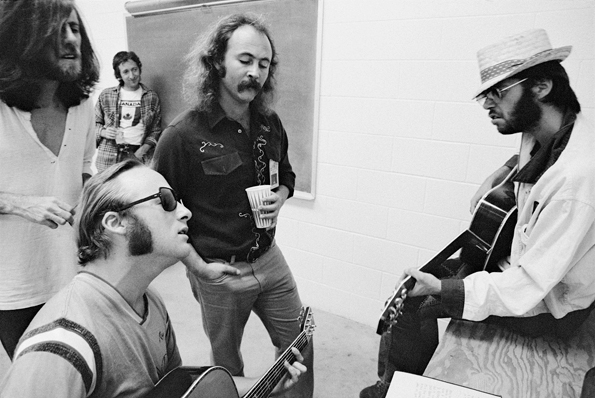 Eventually, he moves to southern California, hooks up with Stephen Stills – first in the great folk-rock band Buffalo Springfield, and then in the rock supergroup CSN&Y (along with David Crosby from The Byrds and Graham Nash from The Hollies). Very soon after hitting the big time as a solo performer in the very early 70s, he moves north of L.A. and buys a large, ranch property (he dubs it Broken Arrow Ranch) near Redwood City, south of San Francisco. There’s a lot about the music – especially The Squires, Buffalo Springfield and Crazy Horse. 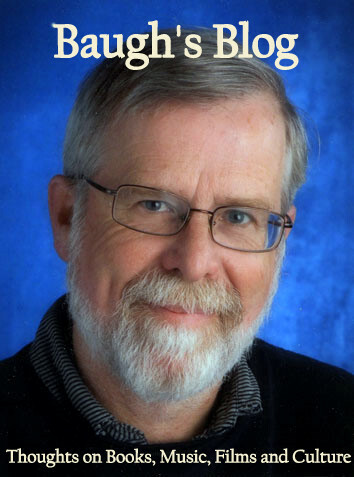 He writes over and over about his special friendship with his producer David Briggs. And his relationship with Ben Keith, the pedal steel player he met during the recording of the country-inflected Harvest LP – in a band dubbed The Stray Gators. Young talks about his approach to music as “following the muse”. He says he loves new beginnings and feels he has to shake things up regularly to keep his work fresh. Otherwise he gets tired of his musical self. He has an instinctive feel for his music: “there is a completely different part of my brain used for music, and it feels like I am massaging my soul when I make music.” And he explains how his long-term performing relationship with Crazy Horse is very important to him. He acknowledges that they may not be a great band technically, but there is a special place they get to when they play together: “the Horse and the muse are very good friends,” he concludes. You read through the book and things jump out at you. Buffalo Springfield broke up because their bass player, Bruce Palmer, got busted. Neil says he was the special catalyst in the group – without him, they were dead. He describes Stephen Stills as a musical genius. It’s well-known that they had a rocky relationship, but he really tips his hat to the man here. He says that Crosby and Nash did not appreciate Stills’ contributions the way that he did. Their electric guitar interplay in live concert was legendary. Listen to “Southern Man” on the CSN&Y album 4 Way Street, for example, to get a taste of their special chemistry. He spent a month preparing himself for a recent Farm Aid Benefit Concert. He’s an album guy: “I still call it an album,” he explains, “because that is what I make. I don’t make CDs or iTunes tracks. I make albums.” [Right on, Neil!]. And when the Massey Hall show from 1971 was recorded by David Briggs, his producer, Briggs tried to persuade Neil to release it as an album: “it’s better than Harvest,” he said. Neil demured; but many years later, when he listened back to those live recordings, during his preparation of the first Archives release, he realised that Briggs, as usual, was right. 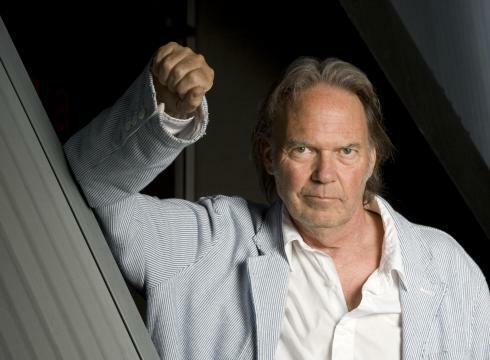 There’s lots of intriguing stuff in this book that will delight the Neil Young fan. There are some great photos, but none in colour or on high-quality paper. They appear throughout the book – mostly at the beginning of new sections. I do find fault with the structure of the book, however; it’s evident that there has been very little editing. The organic growth of the project is appealing at first – as Young alternates between the present day (focused on his current obsessions) and memories of the past. The account of his current interests gets repetitive. And there is no apparent logic to the way he delves into the past – he jumps back and forth, and keeps coming back to the same topics over and over. Despite Neil’s apparent attitude, this book would have been even better with some careful editing. For Neil Young fans this is a delightful book. You’ll enjoy following him on his “journeys into the past”. You’ll learn a lot. And you’ll appreciate spending time wallowing in the reminiscences of a great Canadian hero. Keep on rockin’, Neil. Long may you run. As I read this review Clive one question formed uppermost in my mind about the structure and logicallity of the book and then at the end you answered it. "I do find fault with the structure of the book, however; it’s evident that there has been very little editing. The organic growth of the project is appealing at first – as Young alternates between the present day (focused on his current obsessions) and memories of the past." You made me smile in your opening analysis of the way books are written by or rather with and for celebrities. My local TESCOS book section is full of a range covering all those types. Good honest review Clive. It's refreshing though to hear that Neil Young actually wrote it himself. Thanks, Rob. I see Neil and Crazy Horse have a double CD coming out very soon. It's called "Psychedelic Pill". Supposed to have several epic tracks on it. I'll certainly check it out - might even blog about it!